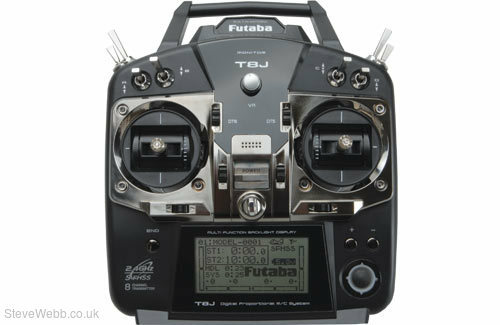 The new Futaba 8J is the perfect radio for the keen pilot, and for those moving up from a 4 or 6 channel system. Easy to programme using the jog dial and input keys, the 8J comes packed with advanced mixing and control functionality, the software being intuitive and easy to navigate making programming a pleasure. 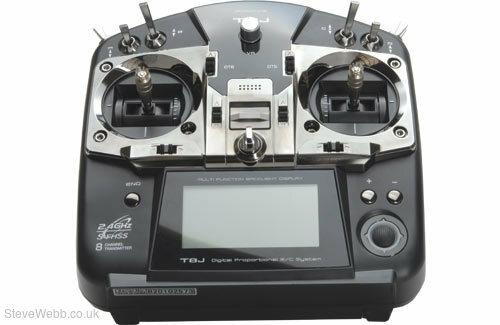 With no less than 20 model memories and 10 character user and model names, the 8J offers great flexibility, an example being the auxiliary channels switch/ VR operator selection option. 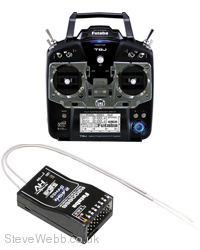 Supplied complete with rechargeable transmitter battery and charger, the combo package also includes the new full range R2008SB receiver, which is S-Bus enabled as well as offering 8 conventional outputs, of course the existing R2006GS and micro R2106GF receivers can also be used with the 8J transmitter.